Georgian President: West Awakening to Russian Security Threat in Historic ‘Now Moment’ - Integration Through Media ....! (VOA): Georgian President Giorgi Margvelashvili is calling for American and European leaders to capitalize on what he calls a palpable, growing international consensus about the scope, magnitude and immediacy of national security threats posed by Russian election interference and suspected assassination attempts on foreign soil. “There is a ‘now moment’ here in the United States; there is a ‘now moment’ in London; there is a ‘now moment’ in Brussels … a moment of comprehension of the [threats] to security for all nations that are challenged by Russia,” Margvelashvili said in a sit-down interview with VOA’s Georgian Service on Thursday. “We have seen murders in London. We have seen the murder of a retired Georgian peacekeeper in Tskhinvali,” he told VOA, referring to Archil Tatunashvili, who died while in custody of Russian-backed security officials in Georgia’s occupied breakaway region of South Ossetia. In Georgia, where Russian tank units maintain control over 20 percent of the terrain, a holdover from the August 2008 five-day war, officials have long espoused their conviction that Russia might one day attempt to annex portions of Ukraine, which it did in 2014. Margvelashvili, who became president in 2013, is in Washington this week to meet with members of Congress and warn them against being naive about Russian aggression toward the West, a message his country has emphatically stressed since the 2008 invasion. Although Georgia has enjoyed support from high profile legislators such as Sen. John McCain (R-Ariz.) and former vice president Joseph Biden, the current White House administration, while maintaining nonrecognition of Georgia’s two Russian-occupied, breakaway regions, has not revisited policy on Russian aggression in the region. Margvelashvili is also seeking to expand support for Georgian efforts to join NATO, which it has been seeking since 2002. NATO leaders pledged in 2008 to secure membership for Georgia and Ukraine but stopped short of granting the former Soviet republics Membership Action Plan (MAP) status, which would have expedited membership. Critics of Georgia’s NATO accession say Tbilisi has not yet proven its fiscal readiness, arguing that the southern Caucasus nation needs to improve its per capita income before it can assume the financial burden of NATO membership. Currently, Georgia’s per capita GDP is far below the NATO average, only one-fourth that of its Baltic neighbors to the north. “There are [also] concerns in the Alliance about the Azerbaijani investigative reporter who was abducted, and the [fact that] Amnesty International issued a report expressing concern about issues in law enforcement and intelligence, saying there needs to be an independent assessment of these kinds of activities, further gains in that area,” former U.S. ambassador to Georgia William Courtney told VOA Georgian. 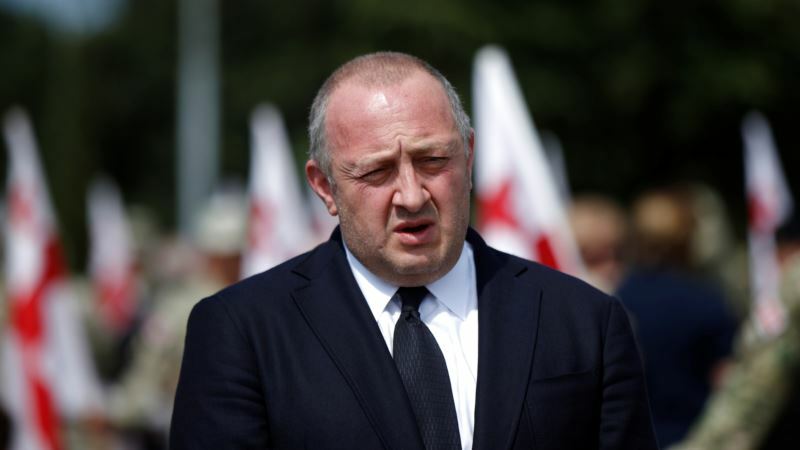 Margvelashvili, however, insists Georgia has done its part. A top NATO official, who last week spoke with VOA Georgian on condition of anonymity, said NATO believes Georgia should be able to enter the alliance intact. This story originated in VOA’s Georgian Service.